Catch a major sporting event at one of the nearby big-league venues, within ten minutes of our Goodyear hotel, including: Jobing. com Arena, University of Phoenix Stadium, Goodyear Ballpark and the Peoria Sports Complex. Our hotel in Goodyear also gives you easy access to events at Westgate City Center, the rodeo grounds at Estrella Mountain Regional park, Phoenix International Raceway, and the Buckeye Equestrian Center. Slow things down with a performance by the Arizona Broadway Theater or the annual Lakeside Symphony Pops Concert at Estrella. Take a challenging hike in the nearby Estrella or White Tank Mountains. There's also numerous golf courses within 10 miles of our hotel including the adjacent Palm Valley Golf Course and shopping at nearby Arrowhead Towne Center Mall. Need to take care of business? Or need to treat your family to a relaxing vacation? 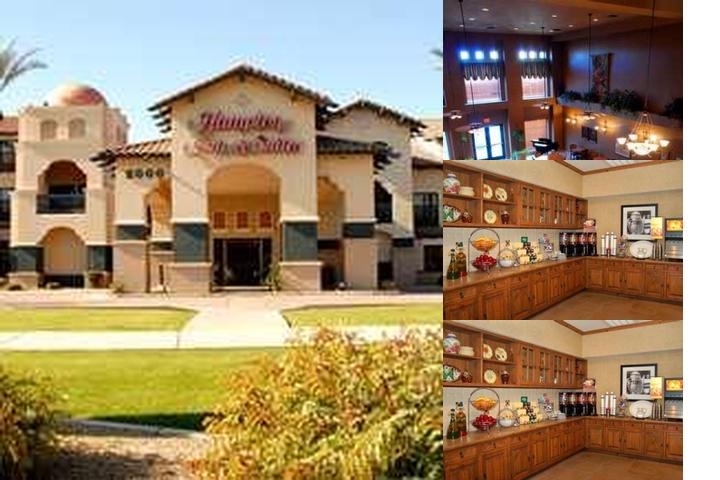 Either way, we will meet your needs with passion and charm at the Hampton Inn & Suites® hotel in Phoenix/Goodyear. We offer spacious rooms with king or queen-size beds, as well as roomy, well-equipped suites-and every guestroom has a jetted bathtub. Visit our hotel in Goodyear, and see how we were designed with an eye for style and comfort. Once you've arrived at our hotel, you'll find a lot of great amenities waiting for you in your room. Need to get some work done while you're with us? We offer complimentary high-speed internet access in every guest room. Prop your laptop on our handy lap desk and type away while you watch TV. Or simply listen to your favorite kind of music by pressing one of the preset buttons on your room's alarm clock. When you're ready for some rest, hunker down for the night in our comfiest amenity yet: Cloud Nine. The Hampton Bed Experience. When you wake up in the morning breakfast is complimentary in our lodge. We hope to see you soon! Please cancel reservations by 6pm day of arrival. We are located 25 minutes from the Phoenix Sky Harbor Airport. 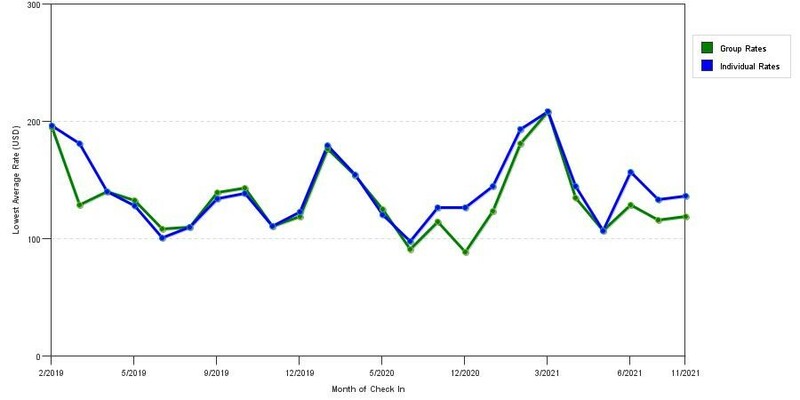 The chart above shows averages of prices for both group quotes and the best individual traveler rates we could find at the time the group/meeting bid was entered. The lowest group deal shown is 23.0% in September 2018 and the highest average individual rate is $226 in the month of February 2019. This chart will show past seasonality and also project future months. If you are flexible with dates, you may want to consider staying at The Hampton Inn & Suites in a month when rates are lower. 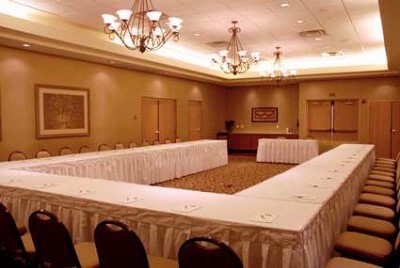 Below are the meeting, banquet, conference and event spaces at The Hampton Inn & Suites. 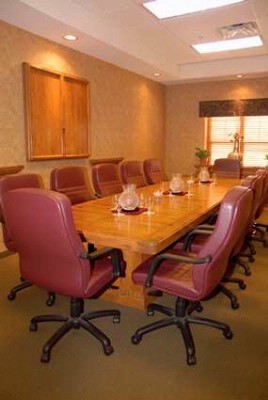 Feel free to use the The Hampton Inn & Suites meeting space capacities chart below to help in your event planning. 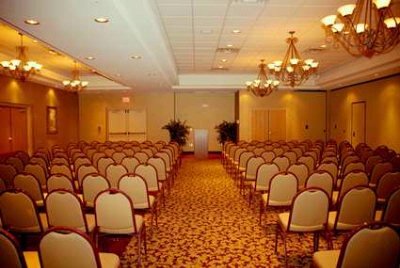 Hotel Planner specializes in Goodyear event planning for sleeping rooms and meeting space for corporate events, weddings, parties, conventions, negotiated rates and trade shows. 50 x 38 x 15 Ft.
48 x 25 x 15 Ft.
36 x 12 x 15 Ft.
62 x 50 x 15 Ft.
48 x 25 x 12 Ft.
0 x 0 x 12 Ft.
50 x 38 x 12 Ft.